Although this sword has been put together with mismatched parts, it is very unique in its own way. The grip is definitely calvary, but the blade appears to be infantry, and has been sharpened several times. Possibly Confederate, because Union soldiers were not allowed to sharpen their swords. There are no markings at all on the blade, but the style is that of a French design. There were many many swords imported during the war, from England, France, and now Germany etc. All have their own style. I am so thankful to have been able to get this off of my cousin, Robert, to put into my collection. 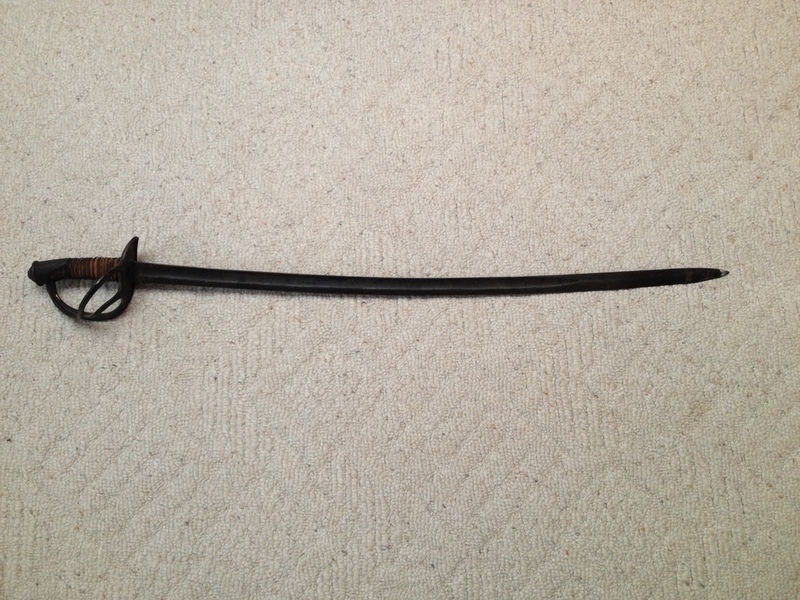 I also got the 1863 Remington bayonet that I have posted from him. This old sword has had a lot of use, and in pretty rough shape, but that tells me that it has an incredible story to tell. Thanks Robert.